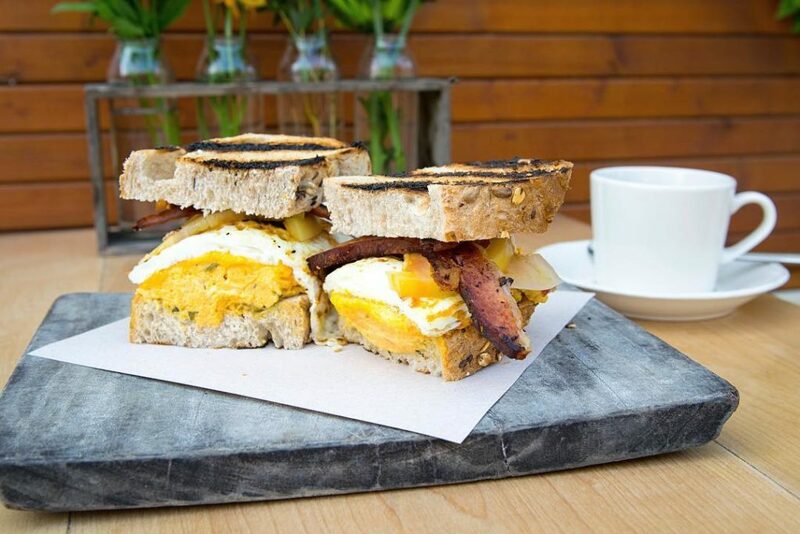 Not all brunches are created equal, especially in this city. Whether you’re struggling from a late night out or celebrating a special occasion, there’s a place—and a dish—to satiate you. 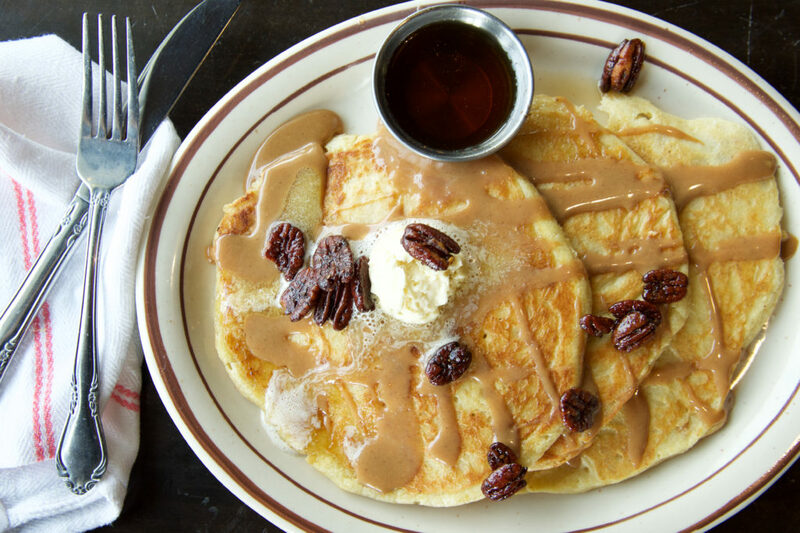 Here’s where to go and what to order for the ultimate Nashville brunch. 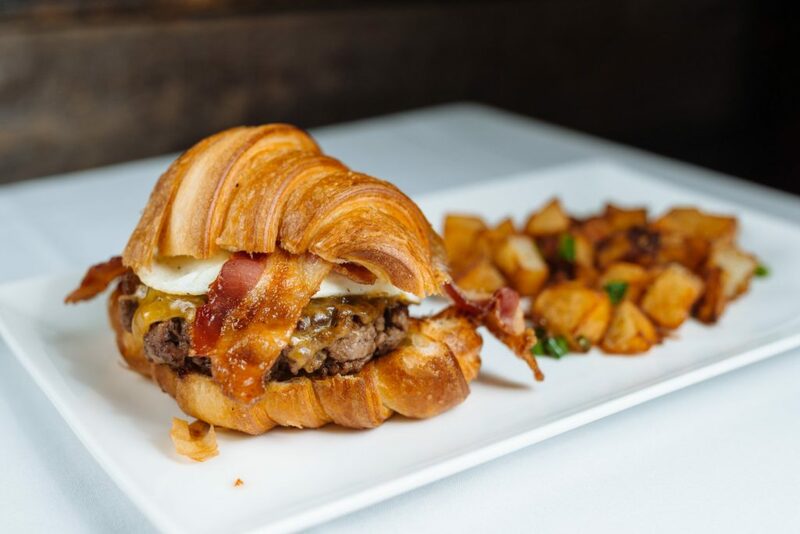 Whiskey Kitchen already knocks it out of the park at lunch, dinner, and late night, so you can expect nothing but the same deliciousness for brunch. The new brunch program kicks off on Saturday, December 1, 2018, at 10:00am! 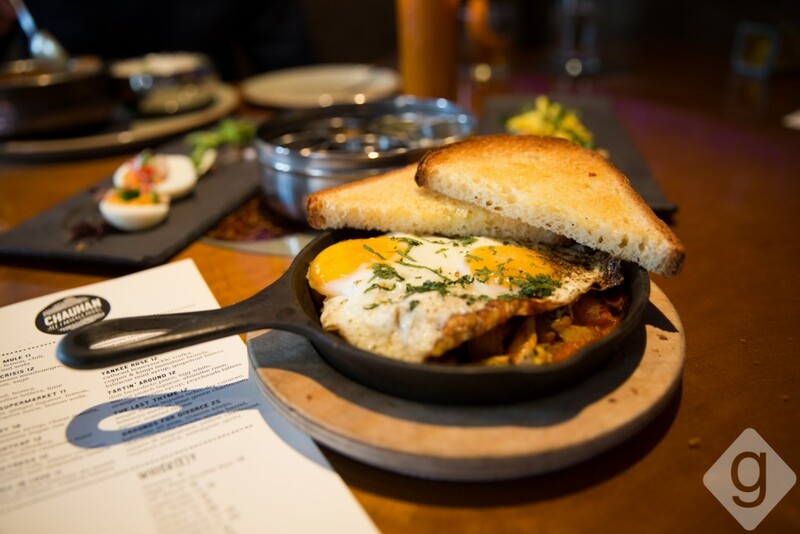 The Sutler goes all out for its long-standing Bluegrass Brunch, which features live music and dedicated brunch, kids brunch, and gluten-sensitive brunch menus. 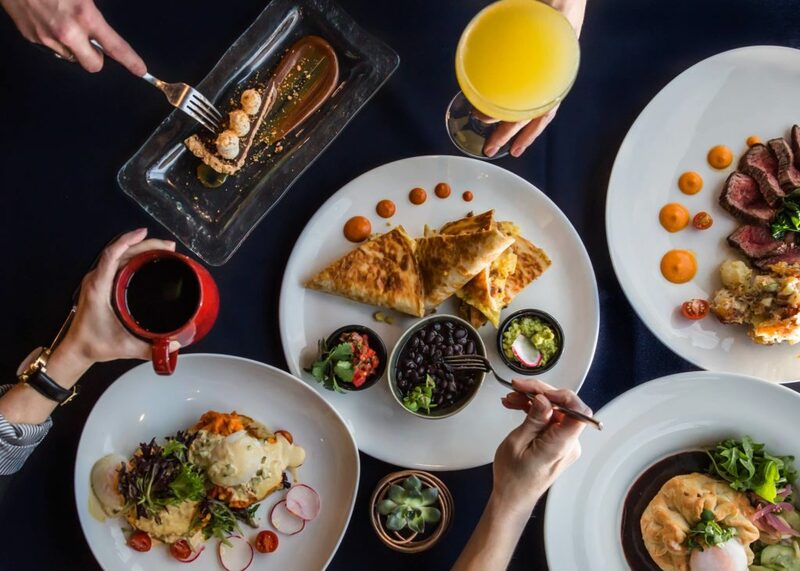 In addition to hearty food options, there are two kinds of sangria, bottomless mimosas ($17), a Bloody Mary bar ($2 + Vodka), and Whisper Creek–infused coffee ($7) to sip on. 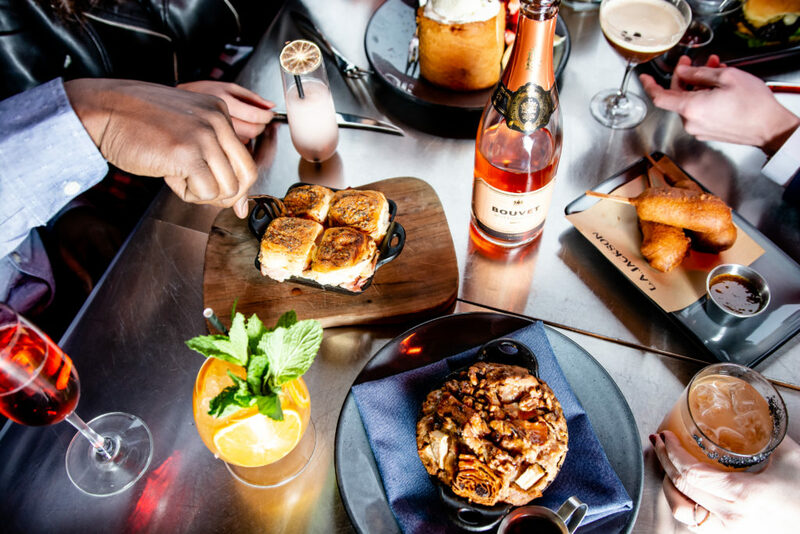 You might want to strategize before heading to Sinema’s $28 Bottomless Brunch ($12 for children 6-12 / free for children 5 and under), where you’ll be bombarded by tasty options like pastries, pancakes, fried chicken and biscuits, eggs, bacon, sausage, ribs, paninis, salads, and separate stations for the crepes and omelettes of your dreams. Bottomless Bloody Marys and mimosas are $15 per person. 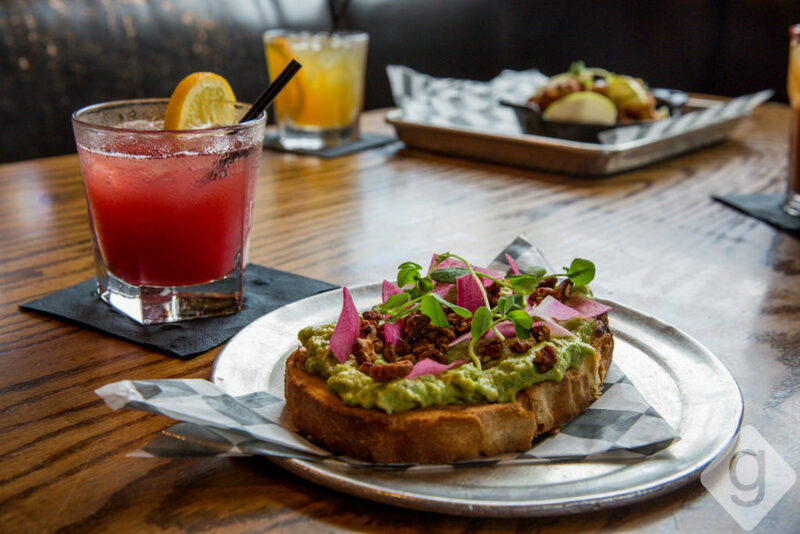 Want a little (or a lot of) mezcal with your brunch? Saint Anejo is your spot, thanks to a wide range of cocktails culled from its famous tequila library—try the Golden Coast “skinny” margarita or Pepe’s Picante Pepino, made with cucumber-infused tequila. 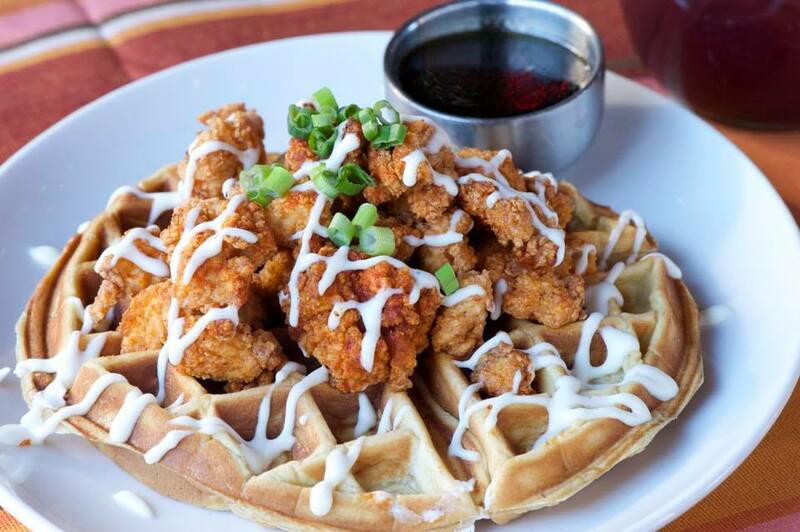 Don’t forget to fuel up on huevos rancheros, chorizo scramble, or the hot chicken and waffles. 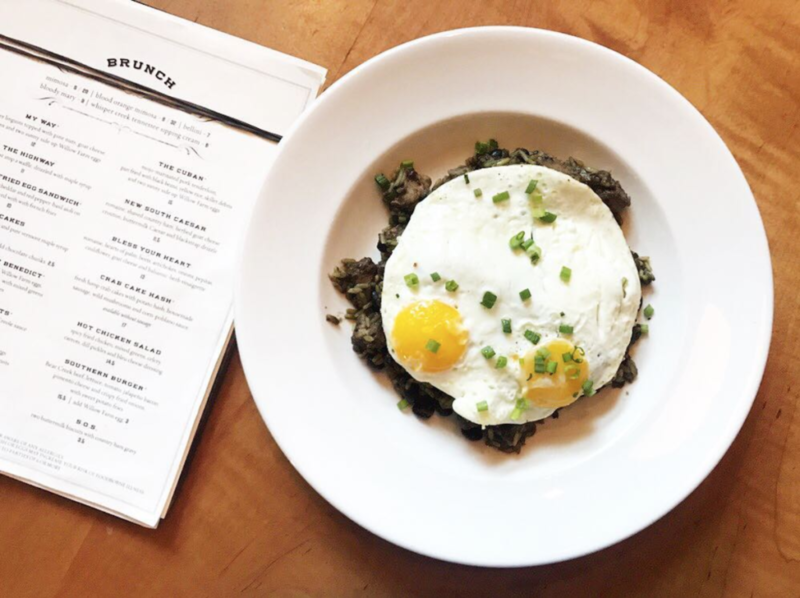 You’ll find a classier-than-average brunch at etc., with dishes like shakshuka, bistro steak and eggs, and crispy buffalo chicken benedict. Even the drinks here feel a bit posh: cachaça, brandy, and the elusive manmosa. While Henley has become known for its exceptional dinner service, their brunch program has created some rumblings of its own. 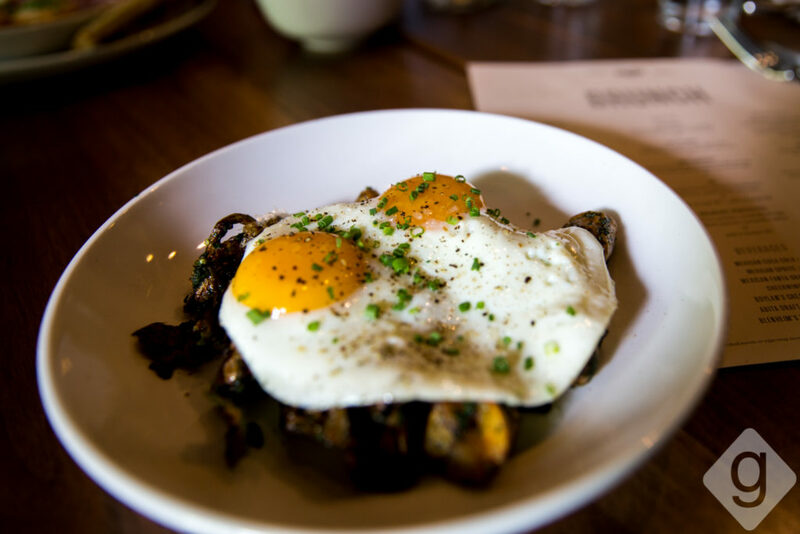 From starters like the duck fat beignets and smoked catfish hushpuppies to mains like the spicy fried chicken sammy and smoked mushroom benedict, the brunch menu is unique and delectable. While you can’t go wrong with a brunch cocktail like the broken heart on Henley’s menu, don’t count out the wallflower brunch punch. The top three reasons you must experience a Tavern brunch at some point in your life: 1.) Red Velvet waffles. 2.) White trash hash. 3.) 2-for-1 libations like sangria, Bloody Marys, and mimosas. Even if you usually avoid downtown before nightfall, it’s hard to resist The George Jones’ brunch, including $5 Bloody Marys and $3 mimosas. If your brunch club has a range of palates (or simply a few picky eaters), everyone can agree on M.L.Rose—the menu is filled with salads, burgers, sandwiches, wings, burritos, and more. 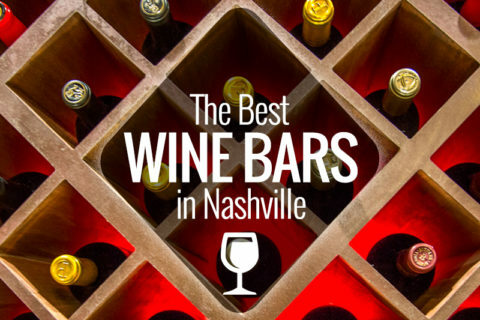 Plus, get 2-for-1 cocktails, draft beer, and wine. 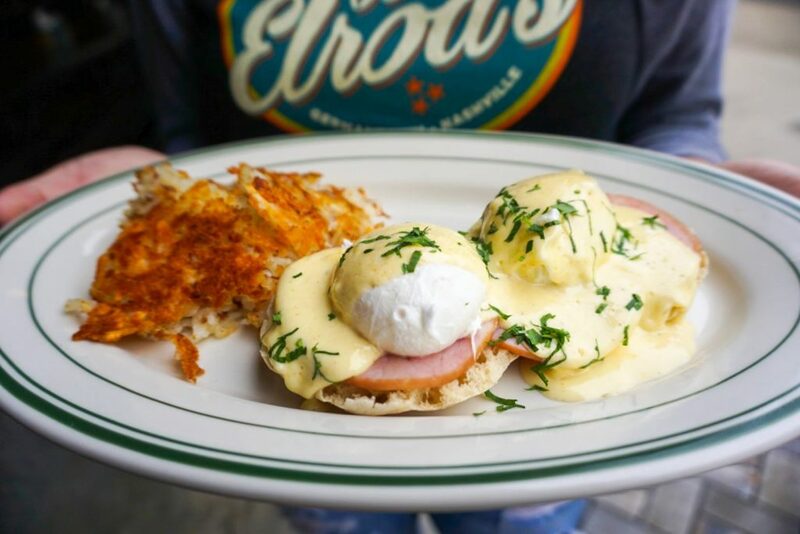 Von Elrod’s is the place for you if you’re in a big a$$ mimosa type of mood. This casual spot is perfect for a bigger group and a great place to watch a game. They have a huge patio that’s packed when the weather’s nice. Venture to the top of the Thompson Nashville for brunch at L.A. Jackson. 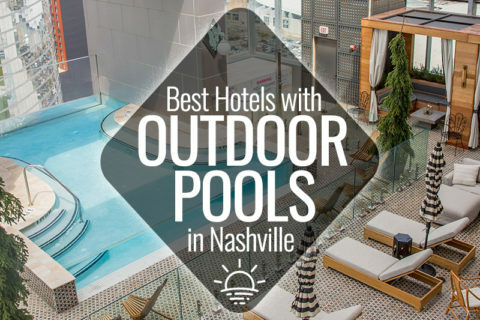 City views and upbeat vibes are guaranteed at this swanky spot in The Gulch. If you have a group of six or more, check out the “cocktails to share” options for something fresh (and refreshing). The Mockingbird has become a well-known local dining spot that brings something different to Nashville. 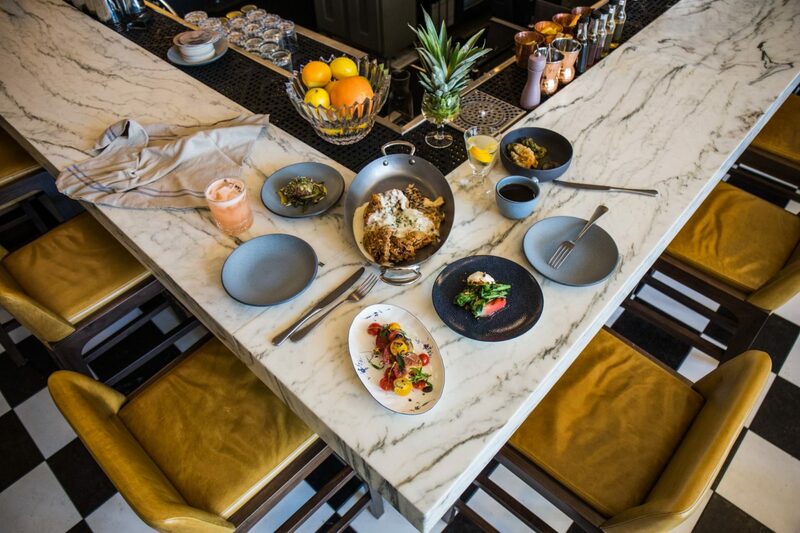 The dishes are globally-inspired and uniquely crafted by Chef Maneet Chauhan. You will not be disappointed by this brunch menu offering the Flock Yes, Kiss My Grits, and I’ll Have What She’s Having. 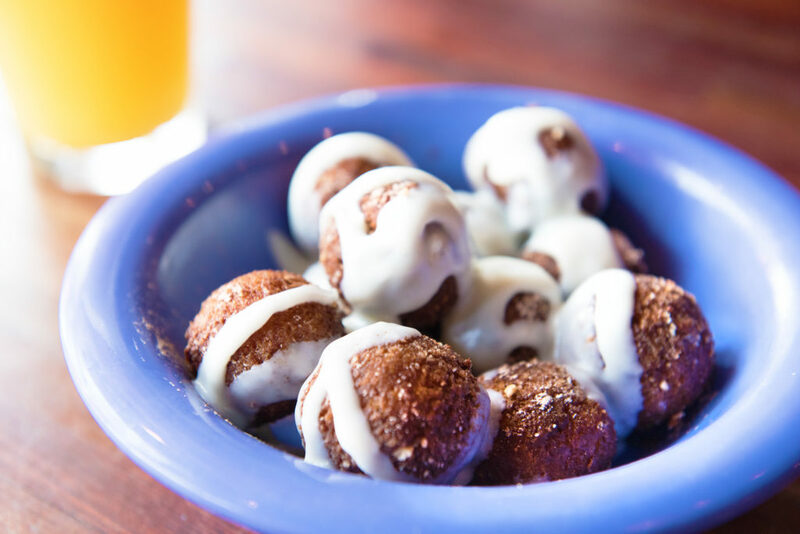 Those who woke up on the right side of the bed can cheerfully split 5th & Taylor’s shareables, like monkey bread and French toast sticks. Not a morning person? Order your own chorizo omelette, chicken sausage scramble, or corned beef hash. Nicky’s Coal Fired serves some of the best Italian food in Nashville and now offers a Sunday brunch. 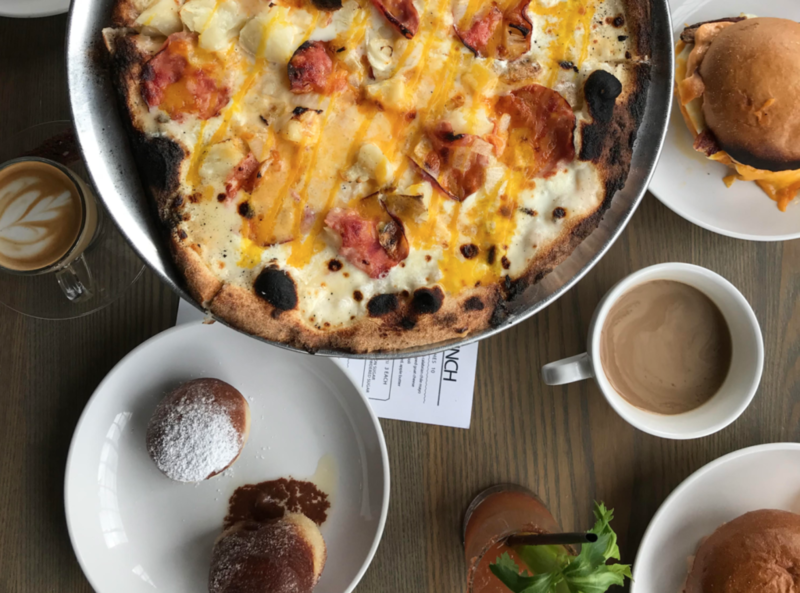 The best part is you can now eat pizza at brunch — they offer four “brunch ‘za’s” including the Scattered, Smothered, Covered, and Chunked pizza with white sauce, roasted onions, ham, mozzarella, cheddar, and egg yolk. 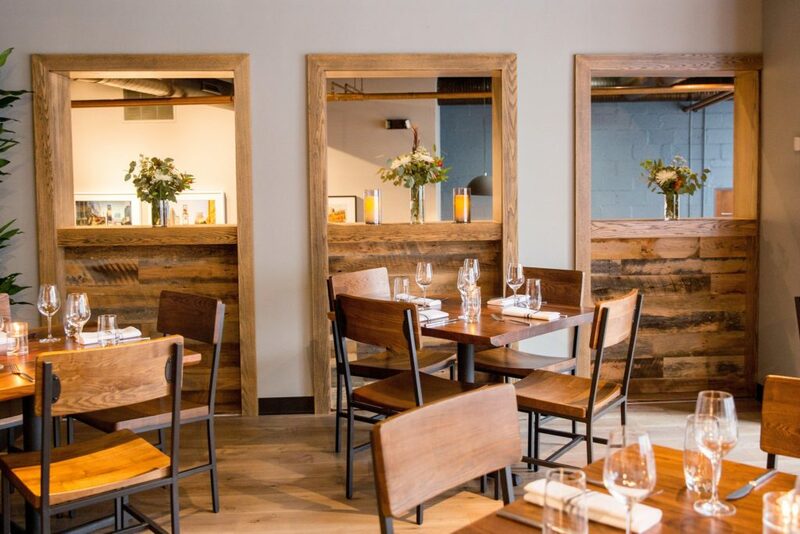 For a sophisticated spin on French and American classics, venture to downtown’s Sea Salt. 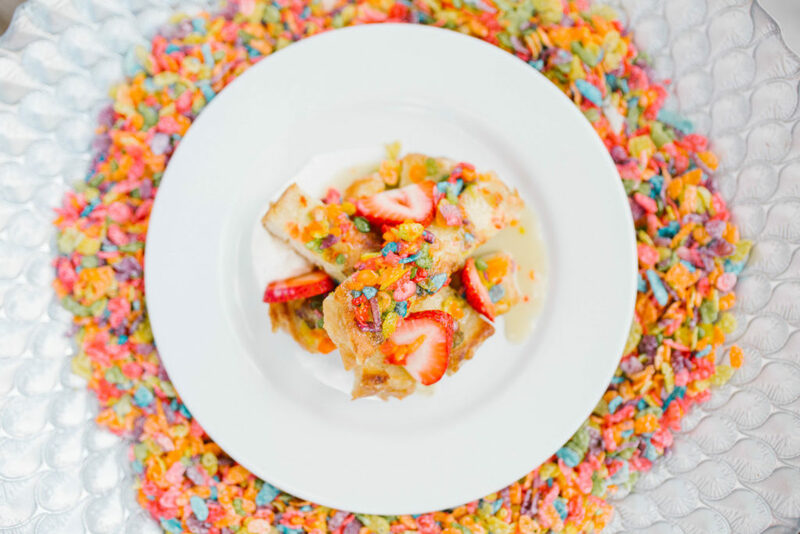 Not only is the atmosphere pristine, but the sweet and savory banana French toast or the Sea Salt Breakfast (two eggs, home fries, toast, and choice of bacon, smoked ham, or house-made sausage) are sure to fit the brunch bill. You know when you wake up on a weekend and just don’t feel like making any decisions? 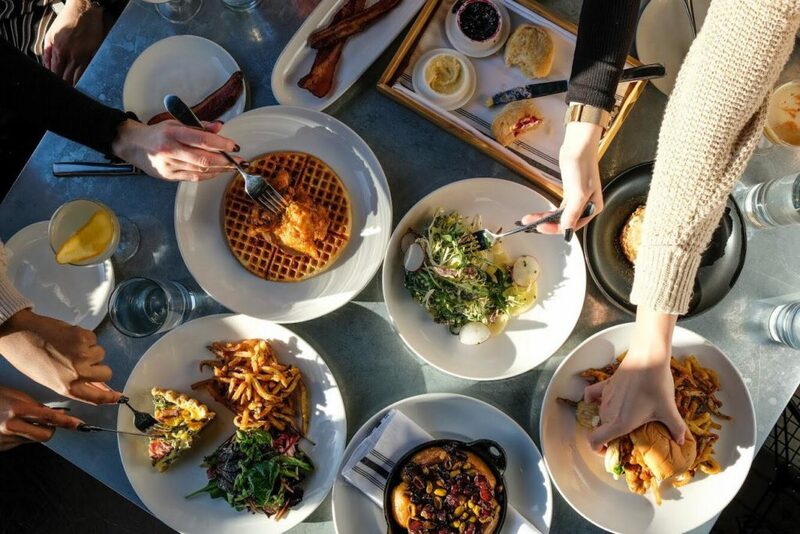 If you meet the gang at Butcher & Bee, you can blindly order a bunch of brunch items from the rotating menu with confidence—almost everything here is shareable and tasty. Marsh House is one of the only all-week brunch options in Nashville, which is great for visitors who may want to brunch on a Wednesday. 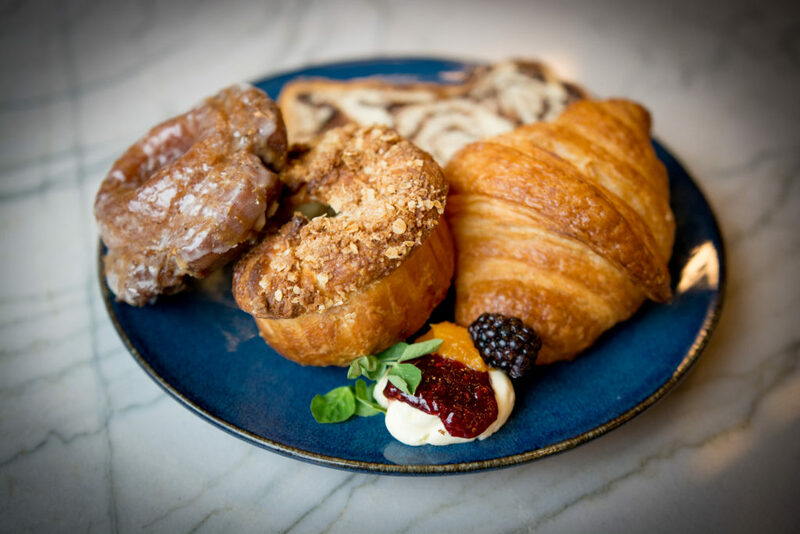 With menu items like the pastry plate and salted caramel apple pancakes to the broken yolk sandwich and seared trout nicoise, you can find something sweet or savory. 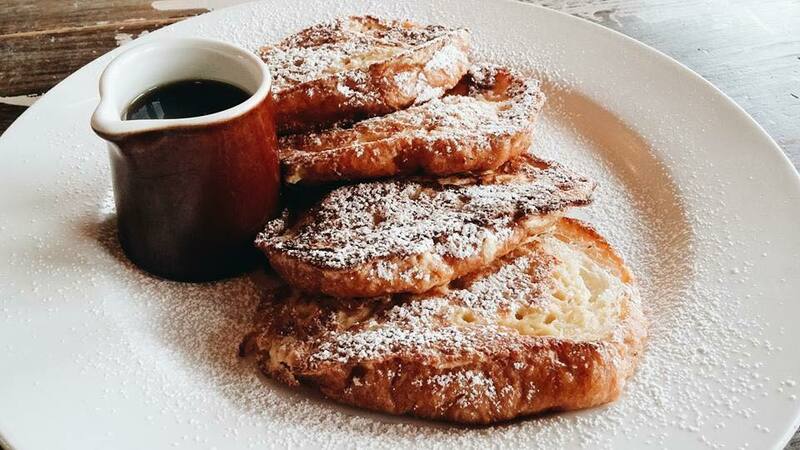 Crepes, beignets, croque madames—it’s easy to say oui to this French-inspired gem in Midtown. Le Sel’s gin and aperol punch bowls are on hand for serious brunchers. Welcome to the ultimate Nashville brunch spot, which means there will be a line but the wait will be worth it. You can’t go wrong with any order that involves Biscuit Love’s namesake baked good, while gluten-sensitive folks can grab eggs, salads, and more. Brunch with a side of live entertainment! Suzy Wong’s weekend drag performances—which hit the stage every half hour between 10:30am and 2:00pm—are like catnip for bachelorette parties and other group outings. 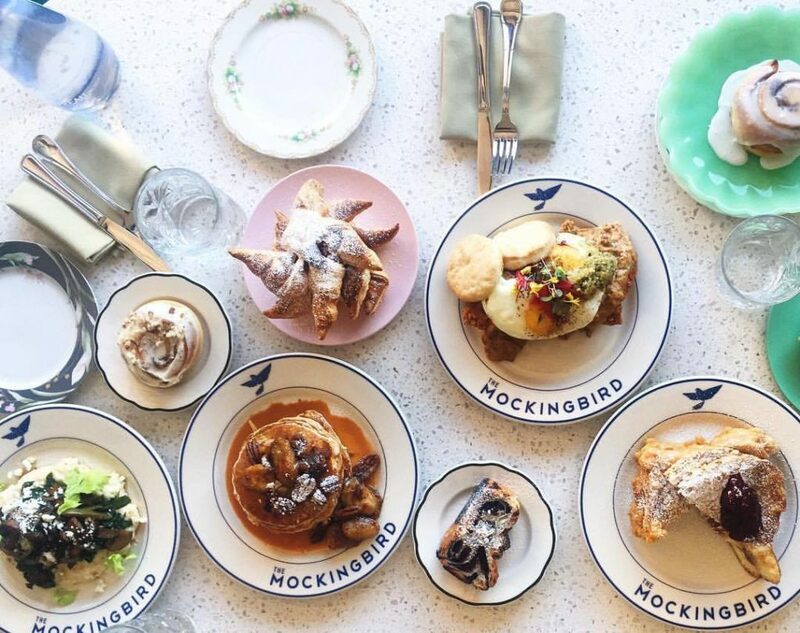 Unsurprisingly, The Southern’s brunch menu is filled with Southern-comfort standards, like fried chicken and waffles, shrimp and grits, and “hotcakes.” Don’t forget about this restaurant’s stellar oyster menu, if you’re in the mood. Butchertown Hall’s menu is part Tex-Mex, part BBQ—perfect for groups with a variety of cravings. Their brunch offerings range from safe (baby kale and Brussels salad) to spicy (brisket with pickled jalapeno) to sparkling (five flavors of mimosas). Chef Maneet Chauhan’s inventive eatery serves up a full menu of Indian cuisine with Southern flare. Chauhan is the only place in town where you’ll find dishes like naan French toast, chicken tikka and eggs, and vindaloo Bloody Marys. 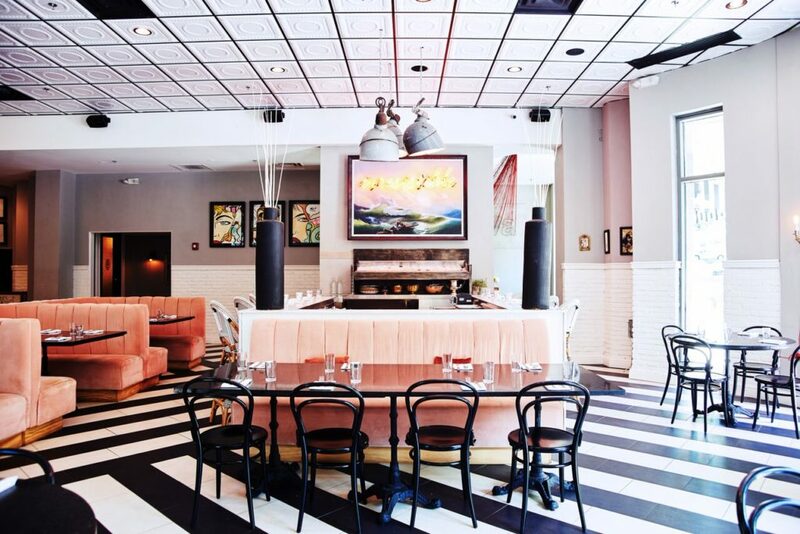 When you want your brunch to be a classy affair, make a reservation here. Josephine’s flavorful dishes, intimate setting, and excellent service will give your day the perfect start. 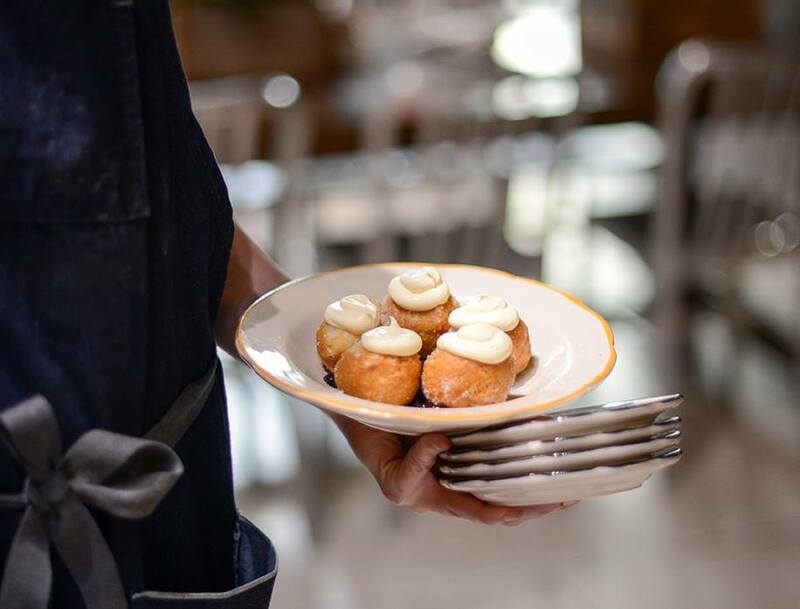 Gaze at the brunch cart during the dim sum-style service from Chef Matt Bolus and his team at The 404 Kitchen. 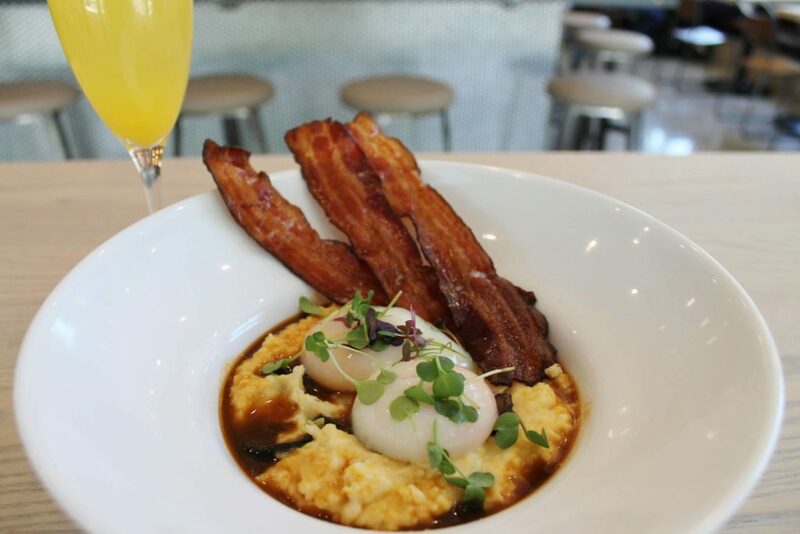 See your options before making selections at this high-end, Southern brunch option. 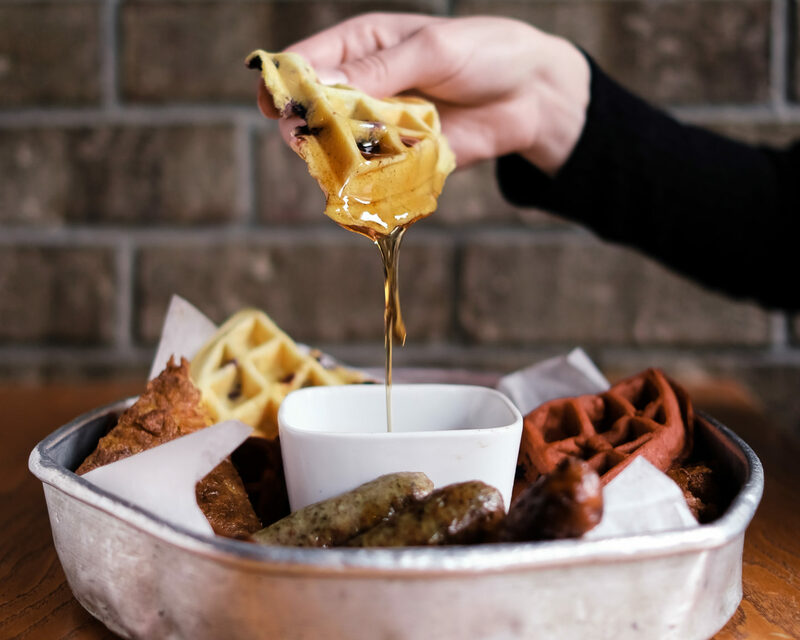 View our Breakfast Guide, which lists places that serve breakfast or brunch throughout the week. 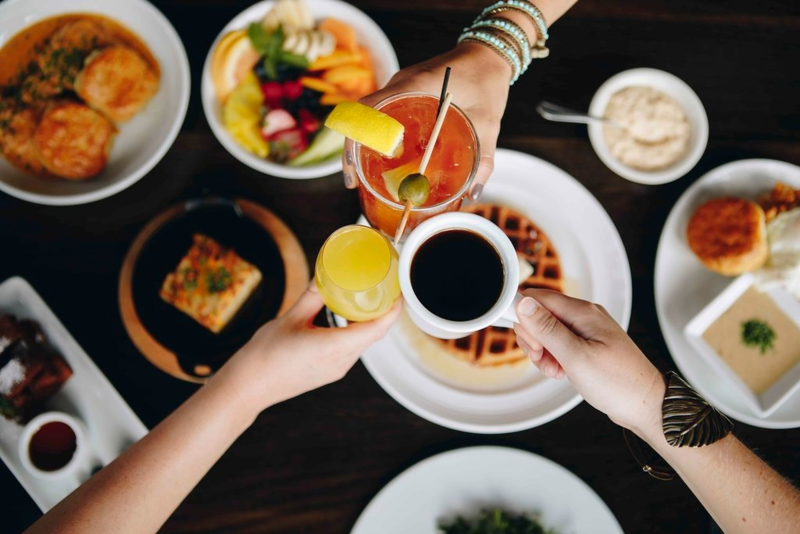 5 Comments on "Best Brunch Spots in Nashville"
My favorite is Germantown Cafe, and now hopefully we can add Pinewood Social to the mix! Camels & Chocolate, you are so right! 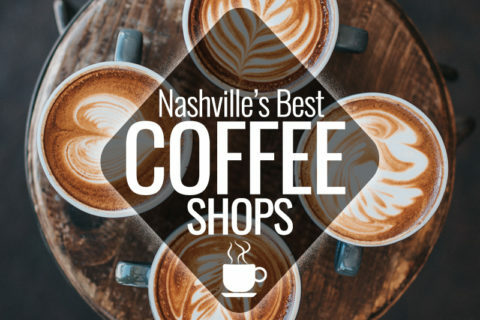 Germantown Cafe needs to be on this list, we’re adding in now. 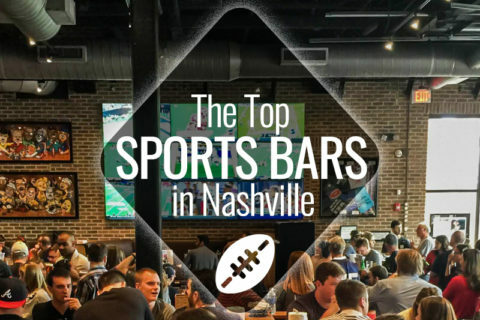 This list needs to include Copper Kettle.  Specifically the downtown location. 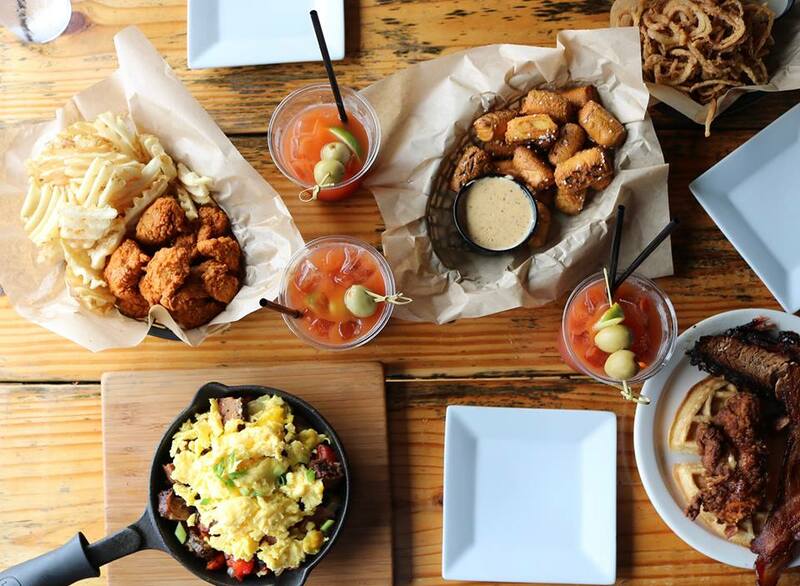 Noble’s Kitchen & Beer Hall now has a killer brunch in east Nashville.